Andrew Lai has created a versatile Raspberry Pi all-in-one utility add-on board which provides a wealth of features in one easy to install Pi HAT. Adding a display, buttons, power switch and infrared connectivity to enhance your raspberry Pi project even further. Watch the demonstration video below to learn more about the Raspberry Pi ProdBoard which is taken to Kickstarter this week to raise the required funds it needs to go into production. For more information on the Raspberry Pi ProdBoard jump over to the official Kickstarter campaign page by following the link below. 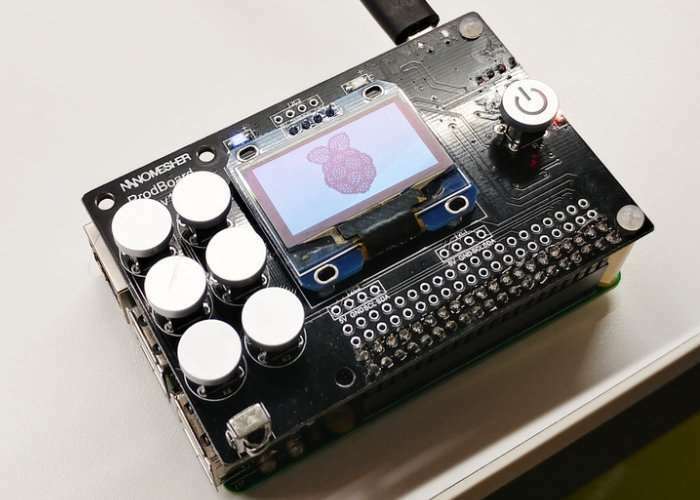 If you enjoy building Pi projects you might be interested in our comprehensive list of Raspberry Pi displays, HATS and small screens.